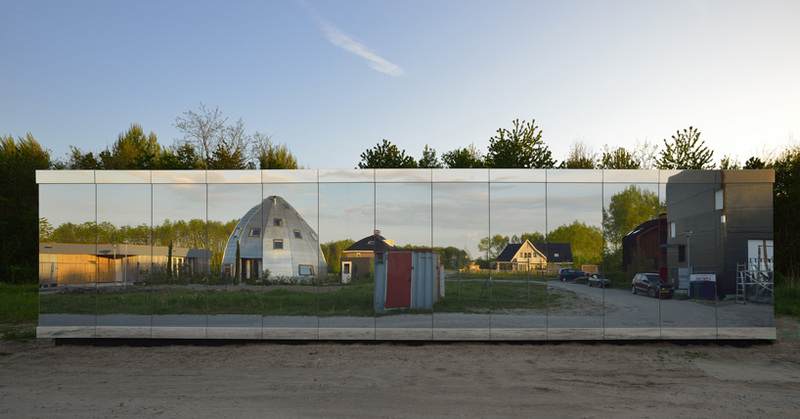 the ‘mirror house’ by amsterdam-based johan selbing architecture and anouk vogel seamlessly merges into its surrounding landscape. the private dwelling consists of a façade made entirely out of reflective glass, making the small dwelling almost invisible as it projects the outside world onto its exterior. the playful structure was realized as part of ‘de eenvoud’, the third edition of small experimental housing project in almere, the netherlands. twelve winning teams were given the possibility to realize their designs in an open area in the forest of noorderplassen-west. 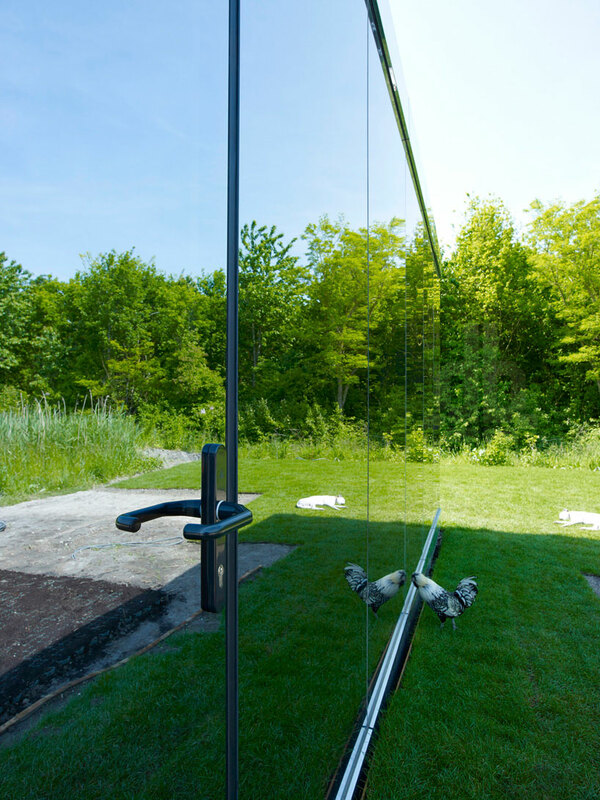 obstructing views through to the inside of the ‘mirror house’, the material treatment acts as a camouflage, offering its occupants a sense of privacy. 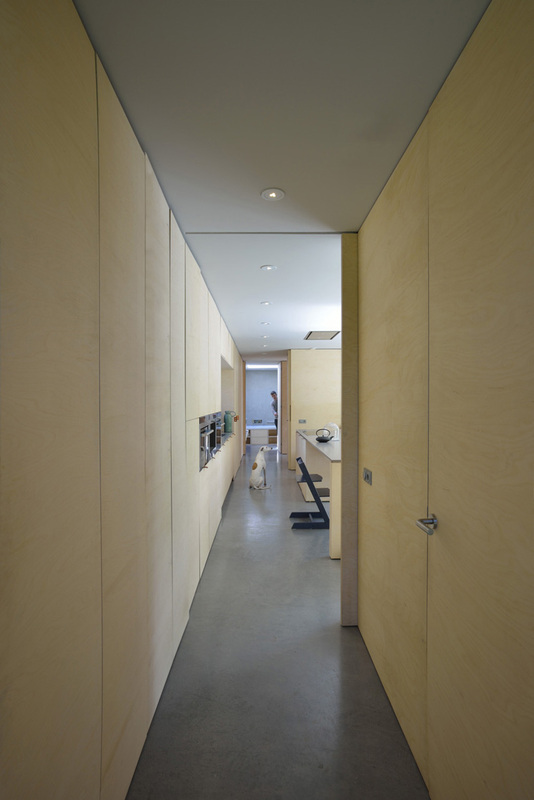 the building’s layout was designed to be as compact as possible, with the option to adapt to different lifestyles. in dialogue with the client, the competition proposal was worked out to the smallest detail, ensuring high-levels of flexibility. 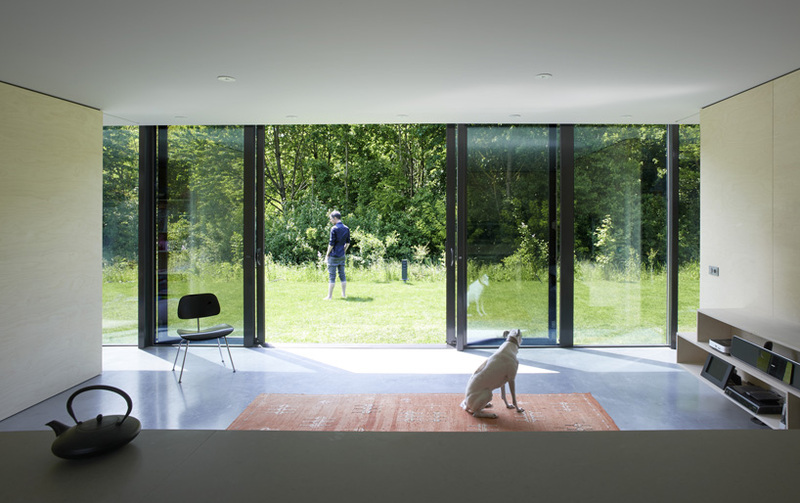 a slightly raised floor offers views out to the forest with sliding doors, built in cupboards all contained within a single level. 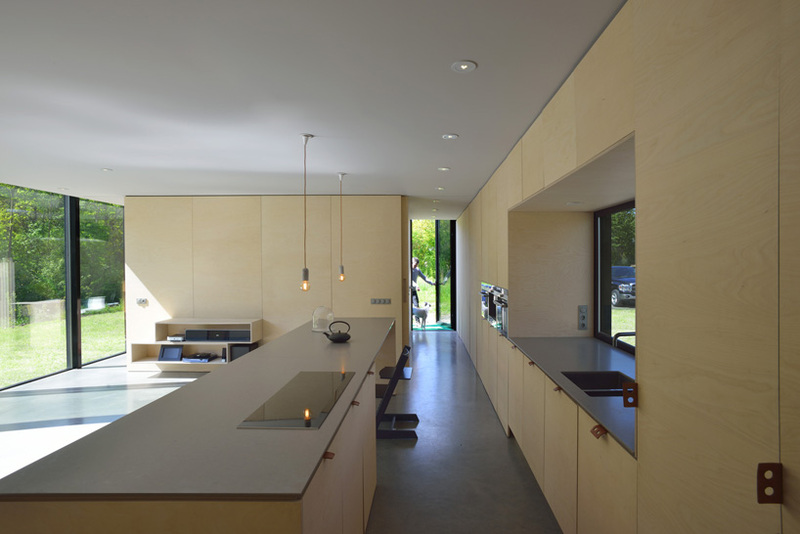 long sight lines on the interior make the house feel larger than it is, and also help to anchor it to its surroundings. the walls were covered in a birch multiplex panel, their warm appearance in contrast to the sleek glass façade.